UPDATED: Fri., April 6, 2018, 11:01 p.m. Both men were wearing GoPros and the catch was caught on video, which Carroll uploaded to YouTube. As soon as he hooked the fish, Thompson could tell he had a monster. 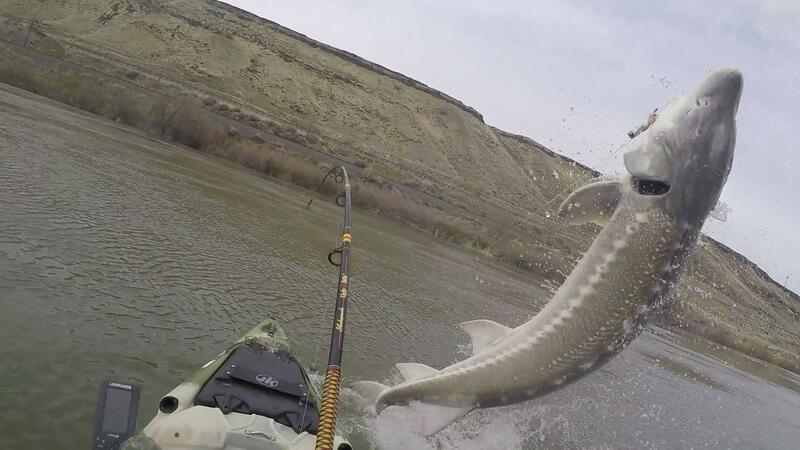 But he didn’t know just how big, until about 10 minutes later when the sturgeon leaped. Sturgeon are an ancient fish species dating back to the Triassic era, more than 200 million years ago. Over the eons, the fish haven’t changed much and are often referred to as living fossils – a term coined by Charles Darwin. Published: April 6, 2018, 11:04 a.m. Updated: April 6, 2018, 11:01 p.m.